Katie Horsburgh is a 17-year-old member of Girlguiding Scotland. Katie is first and foremost, a Guide leader, volunteering weekly to help girls aged 10-14 have fun, make friends and reach their potential. 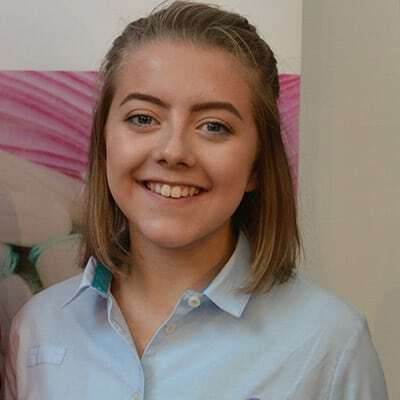 She has also been a Girlguiding Advocate for two years, speaking out at a Scottish and UK level on a variety of issues affecting girls and young women, from mental health to gender stereotyping to sexual harassment in schools. Besides this, she is currently in sixth year at school, and plans to go to university next year to study English, with the long-term goal of becoming a journalist. She also participates in netball, yoga, runs her school’s debate club, and helps on a newspaper. Katie is really excited to be a member of the Advisory Council on Women and Girls and hopes that she will have the chance to make a real difference to girls and women in Scotland.